Item is a drawing of a detail of an opening in a fermenter tank. The drawing includes elevation an section views of the opening. 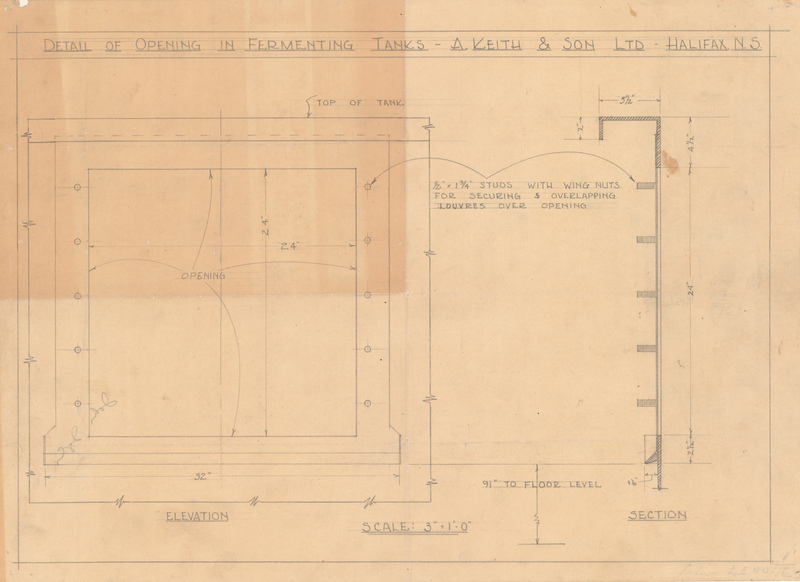 The drawing was produced for A. Keith and Son Ltd. of Halifax, Nova Scotia.